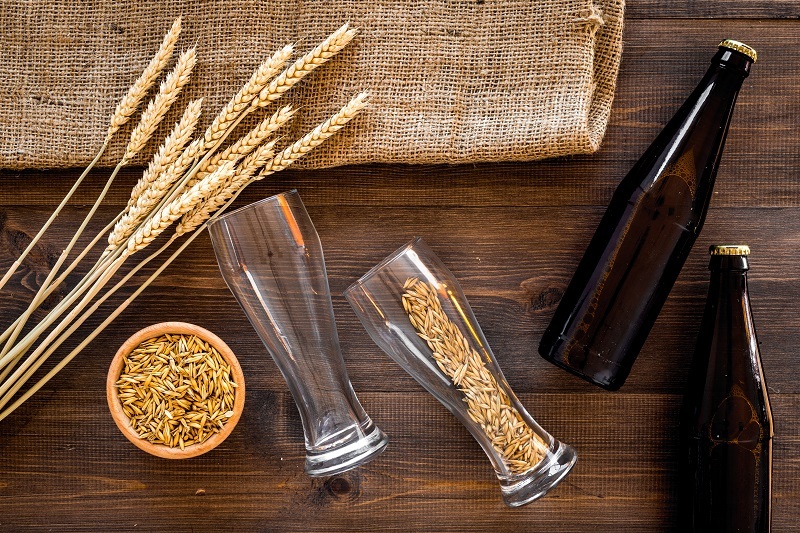 Want to try Home Brew, follow this guide. Have you ever wanted to make your own beer? Maybe you are tired of the watered-down lagers produced by the big beer industry. Microbreweries are popping up all over the United States. Chances are that you can find some wonderful brews in your area. If you can find quality beer from these specialty shops, why make your own? There are several good reasons. When you brew your own beer, you control the ingredients. That gives you the ability to make a product to your own tastes. Not even microbreweries can be that precise. You might have innovative recipes that they would not risk trying. Although the initial investment might sound steep, you still save money in the long run by brewing your own concoctions. Follow this guide to get started. Brewing enthusiasts can find all sorts of delicious beer recipes online. Most of them usually call for malt, hops, yeast, and water. These ingredients can readily be found online or at a brewing specialty shop. If you do not buy the grains cracked, the shop will do it for you. This is a typical, easy to craft Ale - American Brown Ale recipe. Sanitize ALL your equipment, buckets and tools with your chosen sanitizer. Follow the manufactures instructions, it usually helps to sanitize your bucket first and use that solution to sanitize all other equipment in the bucket. Make sure to reserve atleast 1 cup of sanitizer solution for filling the airlock. Put five gallons of water into your stockpot, and bring it up to 150-160 degrees on the candy thermometer. Pour the grains into your hop/grain bag. Tie or clip (I use a chip clip, it works great!) the end of the hop/grain bag onto the handle of the stock pot. Allow the grains to steep for 20-30 minutes. Meanwhile, warm up the liquid malt extract under warm water to loosen it up. Now, take out the grain bag allowing the excess liquid to drain into the stock pot, without squeezing the bag. Normally this only takes a few minutes to a majority of the liquid has dropped back into your stock pot. Add your liquid malt extract. Stir it hard to get the extract to dissolve completely. Raise the temperature to the boiling point, and watch that the mixture does not boil over the pot. Add your first hop bag - Cascade, and let it boil for at least 30 minutes. Next, add the second hop bag - Centennial, and let it boil for another 30 minutes. When there is less than 5 minutes, prepare an ice bath to cool the wort (You can skip this step if you are using a wort chiller). When time is up, turn off the stove and submerge your wort into the prepared ice bath. Make sure to cover the stock pot so none of ice bath (water or ice) comes into contact with your wort. If you are using a wort chiller, follow the manufactures instructions. Chill wort till it has cooled to about 85 degrees. Transfer the wort to the primary fermentation bucket, you may need to add cold water until the liquid reaches 5 gallons. Using your stirring spoon you will stir the wort for at least 1 minute (You want a good amount of air in the wort, to allow the yeast to ferment). Add both packets of yeast. If using liquid yeast follow manufactures instructions, and make sure to sanitize both the packet and scissors. Put the lid and airlock (filled with sanitizer solution) on the bucket. Put your fermenter bucket in a shady area (maybe a kitchen corner) that stays about 60-74 degrees. In a day, you should see bubbles in the airlock, which means the mixture is working. Fermentation takes about two weeks. When it is complete, you should not see any bubbles. Sanitize your plastic hose and secondary fermenter bucket/carboy. Attach the hose to the spigot, if your fermentation bucket has one, other wise suspend the end of the hose in the middle of the bucket. And transfer the beer from the first to the secondary fermenter , making sure not to transfer any of the gunk and/or sediment from the bottom of the primary fermenter . Put a lid on it with an airlock and let it sit for an additional two weeks. Before you use your bottles, sanitize them according to the manufacturer’s label. I sanitize and then wash them in the dishwasher (without any soap) to sterilize. Anything you use in this process must be sanitized. Wipe the fermentation jug’s spigot off with a cotton ball soaked in sanitizer, make sure to sanitize the plastic hose. Again, I HIGHLY recommend sanitizing in the bottling bucket and using that solution to sanitize everything else. Put your bottling equipment to the side and pour out the liquid sanitizer. Add 2 cups of water and 1 1/4 cup of priming sugar to a small saucepan, and bring it to a boil. If you prefer, you can use one cup of honey instead of the priming sugar. As soon as everything is completely mixed, turn off the stove. Pour the hot mixture into the bottling bucket, and slowly add the beer to it using your sanitized plastic hose. Transfer the beer gently so you do not put too much air into the beer mixture. Put the 12-inch hose on the bottling bucket spigot, and let the beer go into your bottles or jugs. Attach the caps or lids as you do the bottling. It takes a lot of time and patience—but it will be totally worthwhile. When all of your beer is sealed, set the bottles or jugs in a shady spot for 2 to 3 weeks. It should be filled with bubbles when you GENTLY shake the bottle. When you take off a cap, you should hear the familiar hiss of a carbonated beverage being opened. If not, seal the bottle again and allow the beer to mature for another week. For optimal drinking pleasure, keep the bottles in storage and chill only what you expect to drink. Enjoy your delicious home brew responsibly with family and friends. Do not be surprised if you get hooked on this time-honored hobby. You may save a little cash if you buy a complete kit for beginning brewers. Local brewery shops should carry them. Just make sure you have everything you need before you get started. Have everything in place as you need it. For your convenience I have included links to Amazon.com for recommend products. Try to find a stock pot that will hold at least 12 quarts (or more). It can be made of aluminum, enameled iron, or stainless steel. Many kitchen supply stores have them. Expect to pay between $40-$50 dollars for a quality pot—but it should last for a long time. A long stainless-steel one will last longer than a wooden or plastic one. It should be made of tempered glass to withstand high temperatures. Find them in any department store or kitchen specialty shop. Some home brewers prefer to use a straining bag rather than a strainer or funnel. These bags are made of nylon or cotton, and are reusable. They hold the solids while they are boiled in the liquid. It is almost like using a giant tea bag. Have two or three on hand for brewing. These bottles (sometimes called carboys) are made of glass or food-grade plastic, and they hold the wort (beer mixture) as it ferments. Try to find a fermentation bucket with a convenient spigot. As the wort ferments and matures, it lets off carbon dioxide. Stoppers and airlocks allow the gas to release while keeping bacteria and other germs out of the brew. Hoses transport the finished product from fermentation carboys to individual bottles/jugs without exposing it to air. You can find hosing at your local brewery shop, or online. Make sure that it fits your spigot. Purchase two hoses that are at least 48 inches long, and one that is 12 inches. Decide how you want to store your finished beer. It can be in half-gallon jugs or 12 to 22- ounce bottles. If you are brewing a five-gallon batch, it will make approximately 29 of the 22-ounce bottles or 53 of the smaller 12-ounce ones. You will also need a bottle capper to put caps on all your bottles. If you are using traditional bottles and caps, you will need a bottle capper. If you purchase a starter kit, it should come with one. This device attaches to your kitchen or outdoor faucet and quickly facilitates cooling the wort to yeast worthy temperatures very quickly. I again strongly recommend that you purchase a wort chiller. It is well worth the price. The brewing process deals with a lot of bacteria and different strains of yeast. To keep your brew safe for drinking, everything needs to be sanitized with a solution especially for brewing. They do not contain bleach and you do not have to rinse them. Find them at your local brewery store, or online. This will not come in most starter kits, so it is a MUST to purchase before you plan to brew.